Are you searching for villas for sale in Calicut? Then, your search ends here. Q Developers is the trusted name for builders in Calicut designing luxurious living spaces that include villas, flats and apartments. We have a legacy of serving the real estate industry with a plethora of sophisticated living spaces that exhibit international building standards and modernization. Thanks to our team of construction consultants, architects and engineers who help us make it possible to deliver our customers with homes that they desire. Imagine the awesomeness of a living space where quality blends in with comfort, luxury, and sophistication. Today technology and modernization have evolved so far that leisure living spaces are no more a fragment of our imagination. You are now going to live it because Q Developers is all set to craft lifestyles that do exist not in dreams but are for real. Q Developers unveils a pinnacle of opulent homes in Calicut redefining the existing paradigm of real estate industry that is quite outdated. We build homes that combine the essence of aesthetic feel, traditional architecture ideas that have been handed down for generations and the latest engineering concepts that match international industry standards with no compromise on quality. 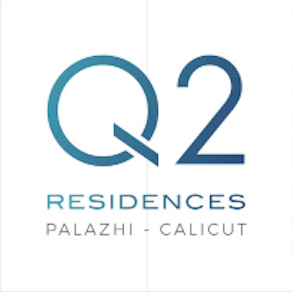 Q Developers welcomes you to experience the inexperienced feel of living in our Luxury Villas, Flats and Apartments that are taking shape in the heart of Calicut city. It is not just a living space that we design for you, but we welcome you to be a part of our family that has been building relationships over the years through dedicated service, experience, innovation, excellence and support that will continue today, tomorrow and forever. Come feel the joy and happiness of living in your dream homes. We have already unveiled a series of Q Projects that includes some of the signature class luxury villas for sale in the city of Calicut. It is not today that we started out to create history in the world of real estate, but we have been doing this for ages. Our excellence is visible in each of our signature villa projects in Calicut that showcase exemplary engineering and architecture concepts derived from the most modern ideas and traditional paradigm of building design. All our customers are satisfied for they got something beyond their expectation, a home that they have always imagined in their dreams. Are you looking for luxury villas for sale in (Kozhikode) Calicut? Yes, it is time to make your dreams live while we unveil before you some of our Premium villas for sale in Kozhikode that will soon take shape.